Guess what?? Its unboxing time!!! 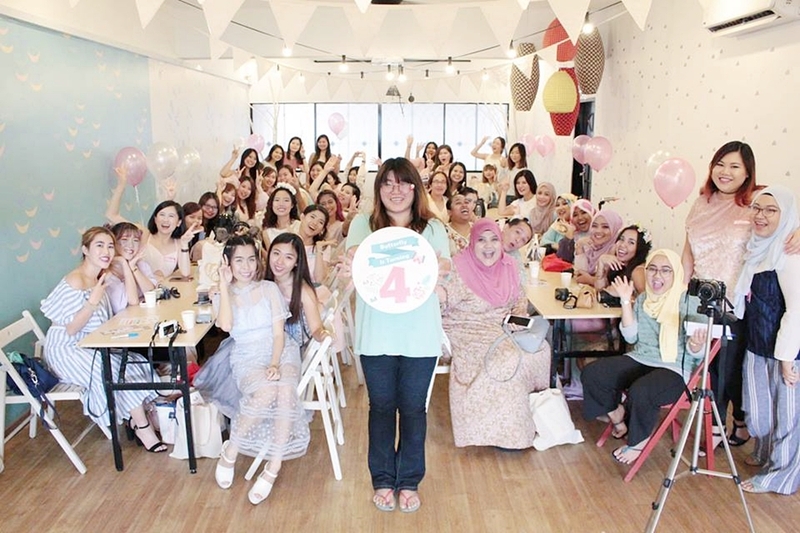 I have a blast day that day on The Butterfly Project Malaysia turns 4 Birthday party. I'm going home with a heavy bags full with beauty stuff and now I'm going to share what I got in the heavy tote bag. Don't you find the tote bag shoooooooo cute! I has the new logo of The Butterfly Project Malaysia. I bet it is suitable to bring along for vacation. I will bring is on Hari Raya soon to put my telekung or makeup stuff in it. Hehehee..
Venue: Hello Deer, Uptown PJ. Look how MERIAH we're !
" What Consume Your Mind, Controls Your Life "
I know its fasting month but I hope you don't read this entry during day time. Hahahhaa. Last week I had an amazing week because I spend my time wisely going here and there and on Saturday I start my day with an Ice-cream Party!! All thanks for Ittify for the invitation. It is a private party btw. The moment I get the invitation I was like "ohhh! I have to join this. It's ICE CREAM!!!" Hehehee.. Somehow my outfit a little bit fancy there and it also match with the cute props and the ice-cream. Hehehe. "It's okay, Create Your Own Sunshine"
And now I try to keep strong, gigihkan diri for update my favorite. I have to re-take the picture again and do all the works from the beginning. Better late than never right? Let's see my picks on April 2017. Yes, it is official that Fasting Month, a holly month of Ramadhan is going to be on 27th May 2017. I've done my first Tarawikh Prayer just now. Alhamdulillah! I really wish this Ramadhan be a better Ramadhan for me. I want to be a better person time-to-time. InshaaAllah. Aminnnnn..
Salam Ramadhan to all Muslims around the world. 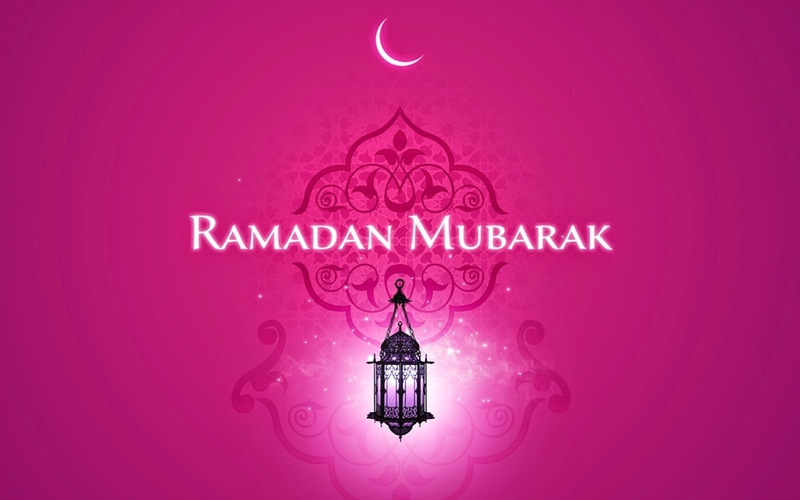 May this Ramadhan be a better Ramadhan for all of us. It's not only fasting month but let's do more prayer, du'a, read Al-Quran and all Sunnah activity, InshaaAllah. Be kind to all people ! I'm at #gayakoleksiraya2017. Same just like last year, I also attend Gaya Koleksi Raya 2017 fashion show but this year, I'm not as enthusiasm as last year because of my breakout skin. Hehehee. *Legit reason not? Heeee... There's actually 5 different slots that day and the show starts at 2pm. But I'm only attend for the 8pm show, thus, I'm only sharing the collection during 8pm show featuring Love To Dress, Aere, Afiq M, Syaiful Baharim, Alia B, and Fizi Woo. All Raya Coollection are available on Fashion Valet websites now.
" What You Think of Yourself is Much More Important Than What People Think of You "
On the end of March (I think) I sprained my ankle or people usually call it "terplecot". Actually this incident happen in front of huge crowd! Ohh damn! Malu nyaaaa.. Not only embarrassed I also hurt my ankle. Glad that I drove to my house quickly right after the incident. My last experience sprained ankle was on high school on form 5 where I sprained my ankle from laying a netball. It was super hurt guys!!! I can't even walk at that time and I was send to the hospital that night. Sorry la warden asrama. Hahahaa.. Kacau tengah-tengah malam~ . 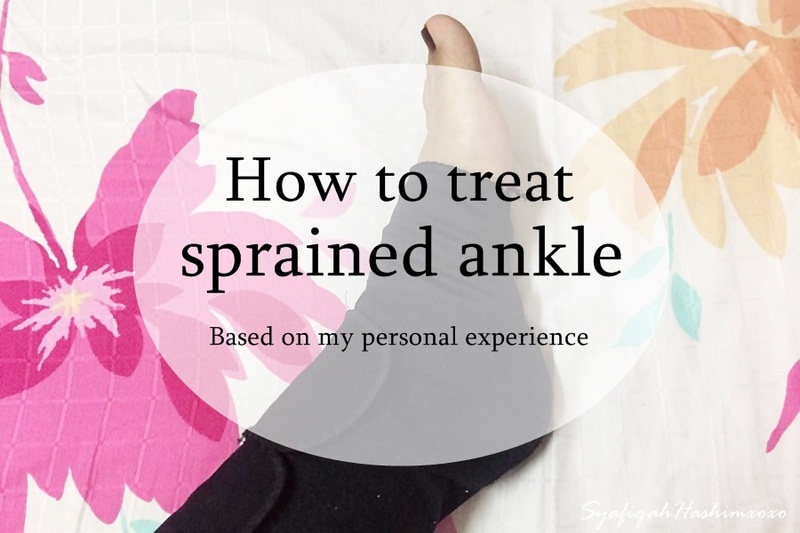 By the way, I find a step on how to treat sprained ankle before it getting even worst Pre-treatment is important! Wahh~ Pejam celik pejam celik Ramadan is around the corner. A few day left before the Holy months begins for 2017. I'm excited!! as we know that this is a great opportunity for Muslims to do more ibadah. InshaaAllah! Anyway, I have a great news to share with you! You know laaa when fasting month everyone are looking for a great place for berbuka puasa right. Recently I try a thai food. Ohyeahhh! The place known as STREAT THAI located at Jaya One, Petaling Jaya. Glad quite near with my house. Hehehee.. Streat Thai is the place where you can find an authentic thai street food guyss! Fefeeling like your in Thailand laa enjoying thai street foods. This is the main entrance! As you can see the place quite cozy where you have 2 section indoor ans outdoor. I like the decoration inside because it has the stall kinda section. But the lighting a bit dim for me.. Hahhaaa. Nampak motif nak ambil gamabr~ Hehehee.. Well, lighthing penting! But most important the cleanliness is good. For toilet and surau you can used inside the Jaya One building. I've been testing out Shizens Lip Smack for quite sometimes and this is the time for me to share my opinion with youuuuuuu... Hehehee. Shizens also don't want to miss to come out with a liquid lipstick where people been craving about it worldwide since couple of years. Shizens come out with only 4 different colors where it consist of Red Cherry, Plum Wine, Cherry Blossom, and Orange Tango. I guess not much option but okay laaa.. still have. It claims to be matte yet moisturizing where it is enriched with coconut oil and sunflower butter to lock in moisture in your lips thus prevent skin peeling while cover blemishes effectively. Interesting! Packaging: It comes on a transparent packaging where you can see the color through and the shape of the packaging is rectangular form. It has the "shizens" label but it does not label the code/shade of the lipstick on the bottom or wherever which I find a bit not-complete. Hahahaa. Because when people ask I don't know the actual shade code and I have to go through the website again to find it. Hahahaa. I wish they can improve on that. Overall, I find that the packaging is quite sleek and not to small or big either. Medium in size. I know it's "CARI BAJU RAYA season" where everyone especially women/girls out there already start cuci mata to find their Baju Raya for this year. I was invited to a fashion show for Lebaran Fashion Trend 2017 that organized by daramera as to supporting Scarffeya. Let me brief a little bit about this brand. Scarffeya is an online fashion brand that started since 2014 and they selling a stylish and exclusive attire with Designer Look. They are among the top fashion brand which selling affordable "DESIGNER ITEM" in Malaysia. They offer the best quality of Muslimah Modern Daily Outfit in the market online which you'll hardly find in the market. Demedics Mesotheraphy is popular among aesthetics clinic because some claims that this treatment is proven works better than laser treatment and very highly demand in Asia market. Woahhh !! Interesting right. Due to that, there's so many FAKE products has been produce from China, Korea and more. SOOO DANGEROUS !!! Nowadays people willing to do anything to be beautiful/handsome but you at least must know and learn about the products before anything worst can happen. I was invited by Dermedics as to recognize and learn about the product. So here, I want to share with you the different between ORIGINAL and FAKE Mesowhite. But before that, let me brief a bit about Dermedics Mesotheraphy. They started since 2013 and the products is originally from Europe. I repeat EUROPE! Each products fully complies with the European Union standards for safety and functionality of all products. It has 16 series of serum. Each products are 0% FREE of Parabens, Alcohol, Colourants, Fragrances, Allergens & Formaldehyde. Even-though I'm wearing Hijab I still need to take a good care of my hair. I think so far my hair quite okay, well the problem with my hair will be hair fall. Hehehhe Other than that, everything is fine. But recently I discover L'oreal Elseve Extraordinary Oil Eclat Imperial and I fall in love with it. This is how the L'oreal Elseve Extraordinary Oil Eclat Imperial looks like. It come in a pink color which refer for the formulation. It has pump on it so you can easily take out the products. Yeayyyy!! I'm officially done with my study life. Hehehehe. Syukur Alhamdulillah. On 26 April 2017 I'm done with my Degree Convocation that were held at Dewang Taming Sari, UiTM Lendu, Melaka. Which is for Istiadat konvokasyen ke-86, Sidang 3.